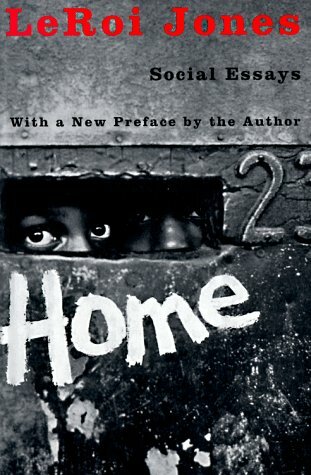 Home: Social Essays (Renegade Reprint Series) | LeRoi Jones (Amiri Baraka) | ISBN: 9781933354675 | Kostenloser Versand für alle Bücher mit Versand und Verkauf duch Amazon. The New York Times Book Review In 2007, Akashic Books ushered Amiri Baraka back into the forefront of America's literary consciousness with the short story collection Tales of the Out & the Gone. This reissue features a highly provocative and profoundly insightful collection of 1960s social and political essays. A seminal Jones/Baraka literary landmine that launches Akashic Books' new African American-focused reprint series.